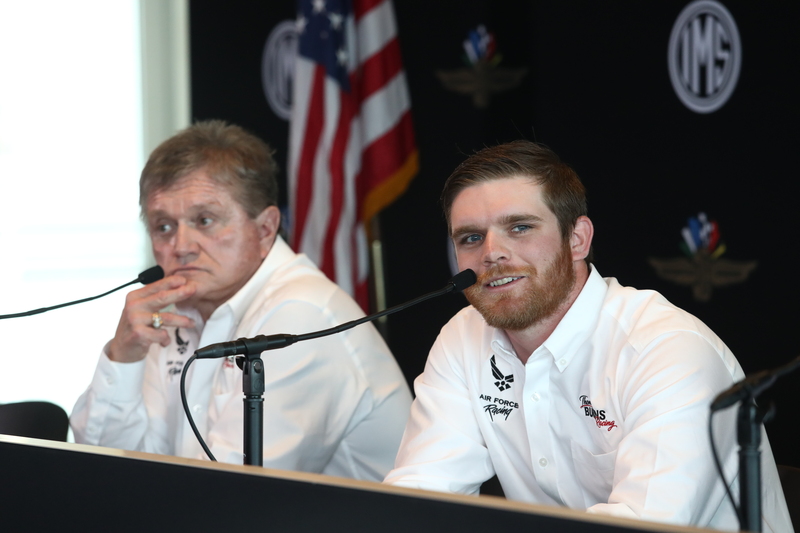 Tuesday’s big announcement was that Conor Daly will run in the 102nd Indianapolis 500 in an alliance between Dale Coyne Racing and Thom Burns Racing. The alliance provides a return to IndyCar and the Indianapolis 500 not only for Daly, but for the Burns team as well. Most fans of IndyCar and the 500 may remember Thom Burns Racing for their most recent partnership with Lazier Partners, fielding Buddy Lazier in the 2016 Indianapolis 500. However, the team’s Indianapolis 500 history dates back farther than that. The list of drivers to run at Indianapolis for the team includes inaugural IRL (Indy Racing League) co-champion Scott Sharp, as well as Jeff Andretti and Steve Chassey. However, Burns Racing’s biggest successes at the Greatest Spectacle ins Racing came in their early 90s efforts. The team, headed by Indianapolis contractor Thomas Burns, made their debut as Burns Racing at the 1991 Indianapolis 500. After starting 30th, Dominic Dobson would wheel the Lola-Judd car to a 13th-place finish and would be just one of 11 cars running at the finish, 36 laps behind winner Rick Mears. In 1992, the team switched to Chevrolet engines to accompany their Lola chassis. Dobson would qualify the car in 29th and once again took advantage of an attrition-filled race. By day’s end, the German-born Dobson worked his way up to 12th, completing 193 of 200 laps and was the last car running at the finish. Burns would again run Dobson in 1993, this time utilizing a Galmer chassis along with the Chevrolet engine. After qualifying 27th, Dobson completed 193 laps and ended the day 23rd in what proved to be their last 500 utilizing the Burns Racing team moniker. Burns would be instrumental in forming PacWest Racing, a stalwart CART team from 1993 to 2001. The team would win five races in its history. However, the Burns Racing name would not grace the side of an IndyCar at the Indy 500 again until the 100th running. In 2016, 29 years after their first entry, Burns made his return to the Greatest Spectacle in Racing. The team would be partner with Lazier Partners Racing and 1996 500 winner Buddy Lazier, running as Lazier-Burns Racing . After starting 32nd, Lazier would spend almost the first quarter of the race on pit road with a stuck throttle. On lap 150, Lazier brought out the race’s penultimate yellow after losing a wheel. Lazier would end the race in 30th, having completed 100 of the 200 laps that day. After missing out on the 2017 race, Burns admitted he was even more motivated to come back. With an experienced driver like Daly behind the wheel and alliance with Dale Coyne Racing, Thom Burns Racing will be looking to earn their best result yet. Image Courtesy of IndyCar Media. You don’t ever include Dominic Dobson’s first name.